Uphill Quenching is used for aluminum components to relieve residual stresses created during the manufacturing process. When parts frozen by liquid nitrogen are subjected to rapid heating via extreme temperature gradients, the maximum stress relief benefit is attained. The high side of the quench does not exceed temperatures that would adversely affect tensile strength. Aluminum components from the aerospace and defense industries undergo cyclic loading. Over time cyclic loading can result in part fatigue failure. Residual stresses from manufacturing are inherent in these components even after heat treatment. As a result, companies uphill quench their parts to relieve these residual stresses immediately following heat treatment. Benefits of uphill quenching include improved mechanical properties, significant reduction in distortion, elimination of machining distortion and reduced manufacturing costs (less scrapped parts). NitroFreeze offers proprietary Uphill Quenching profiles and follows recipes for MIL/DOD specifications or as written on part drawings. Many quenching profiles involve three cycles between cold and hot temperature extremes. 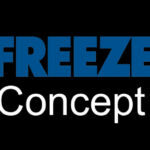 NitroFreeze has completed uphill quenching operations from one to six cycles. And we have completed these cycles utilizing both liquid nitrogen (-320°F) and liquid helium (-448°F) for the most advanced uphill quenching specifications for U.S Government agencies, MIL and DOD contractors, universities and private industry. Cool parts in liquid nitrogen and liquid helium if specification requires temperature lower than liquid nitrogen’s boiling point. Allow parts to reach equilibrium in liquid nitrogen. Once equilibrium is attained, the part will be uniform in temperature. Transfer parts to heating element. In most cases this is boiling hot water, steam or convection heat. Uphill quench parts via rapid temperature gradients for a specified amount of time. Measure part temperature to ensure that the part met specification. Repeat cycle as designated by specifications or part drawings.